Capitalism is an economic system (as opposed to a system of government) that is based on private ownership of the means of production and the creation of goods or services for profit (Oxford English Dictionary). If placed on the political spectrum capitalism would land around center-right. Capital accumulation is a central element of capitalism and competitive markets are also usually implemented on the basis of capitalism. There are multiple variants of capitalism, including laissez-fair, welfare capitalism and state capabilities (Capitalism). A person who possesses capital assets has capital; they are someone who invests for profit in financial and business enterprises and are an advocate of capitalism or of an economic system based on capitalism (Oxford English Dictionary). A capitalist also refers to the class who own factors of production and derive an income based on capital gains, for example buying something and re-selling it for a profit which you may keep (Oxford English Dictionary). Which leads me to the American Project, drawing people in from around the world who wish to re-invent themselves in America in an attempt to spread democracy and capitalism around the world. This gets messy when one realizes that you cannot have democracy without free press and these can often conflict. Yet the message of the “American Dream” is still spread through the use of Hollywood. Interestingly enough The Dark Knight series seems to draw some attention to this idea itself with its inclusion of political views. Though not necessarily one in particular, as it is not a political movie or comic it is simply fiction, but they both remain very american, as superhero’s themselves are an american invention. 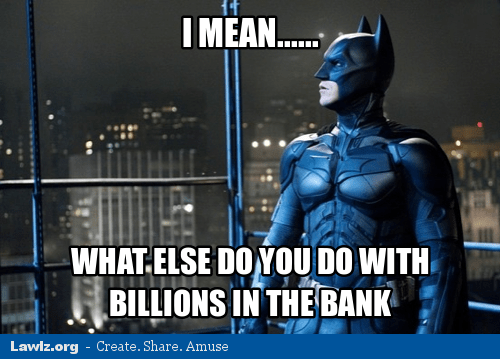 Bruce Wayne is a man of capital; his “Wayne Enterprises” has made him a millionaire. Although Bruce Wayne grew up extremely wealthy he is also the most self-sacrificing character within the film regardless of being the richest therefore wealth is not a moral failing In The Dark Knight trilogies or in The Dark Knight Returns. It is a tool Bruce uses for good, he sinks his money into charity and into the tools required to act as Batman, in order to prevent crimes the state doesn’t protect under its monopoly. Which in turn gives back to the city as he tirelessly tries to save Gotham. A little comic relief from the heavy stuff… and back to it! 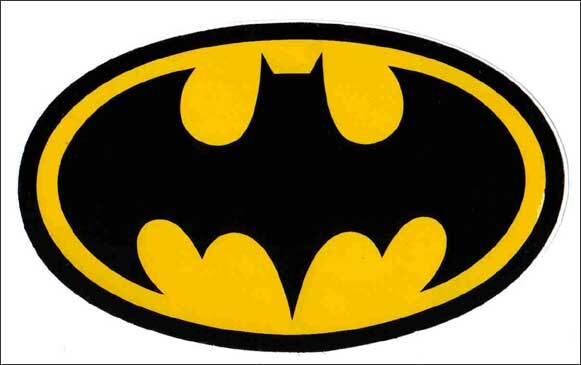 I believe Gotham City to politically be placed slightly center right, with the status quo. There is a slight social hierarchy, with Wayne as we said being a man of capital, but the city is also extremely corrupt, and because of this our “bad guys” believe this economically based, pro-capitalism society and government unfit and in need of change. Also explaining why Bane’s first attack on Gotham is the stock market. For those of you who have not seen The Dark Knight Rise, which is Christopher Nolan’s Third (and final) Batman film, you may or may not have heard this quote from Anne Hathaway as Cat Woman, “…You’re all going to wonder how you could ever have thought you could live so large and leave so little for the rest of us.” It was leading us to believe that an extreme leftist revolution was about to take place, but as it turns out only the “bad guys” held the leftist views, and the overall moral was that rapidly switching from a pro-capitalism society would ultimately end in disaster. All these “bad guys” have one thing in common, they are all working under the same belief that the established order is flawed, and that they are going to fix it through their chaos and crimes, or should I say expose the flaws, not fix. It then becomes Batman’s job to prevent the crimes and stop the “bad guys” before Gotham is destroyed, leaving the citizens with a taste of the exposure without the total destruction. In The Dark Knight Rises, Bane reads aloud Commissioner Gordon’s letter to the citizens of Gotham, and explains how Harvey Dent tried to kill Gordon’s son and Batman took the fall so that the city wouldn’t lose hope. Bane uses the truth as a tool to turn the people against their law enforcement by making them believe that the Harvey Dent Act was a lie and that these people have been wrongly imprisoned along with it. Then with a general vote the criminals are released; immediately causing chaos. Sadly, The Joker is right. Batman is dropped at the first sign of trouble and he takes the brunt for Harvey’s actions. Even in Frank Miller’s The Dark Knight Returns he is seen as a vigilante for taking the law into his own hands in ways the law enforcement cannot. Moreover the civilized people do turn on each other as well, this is proven in The Dark Knight Rises when Bane releases the inmates and it becomes every man for them self. As well, in The Dark Knight Returns, throughout pages 179-181 we are seeing news clips of people trying to justifying their horrific actions towards one another based on their fear and panic, as if it was good enough reason to kill a priest or trample others. In The Dark Knight Rises both Bane and Cat Woman wanted to overthrow the existing order. The difference between the former and the latter was that Bane reveled in the resulting destruction, while Cat Woman repented it. I am lead to believe that this was all for cinematic effect, to have subtlety and ambiguity rather than the clichéd ‘good guys’ and ‘bad guys’, hence why I have used the term “bad guys” in quotations this entire time. Regardless of their evil plotting, there are sympathetic sides to each character. The Joker with his sad tales of how he got this smile, Bane growing up in poverty trapped within that cell, and Cat Women acting as a Robin Hood figure who steals from the rich to give to the poor. I believe that Nolan included this sympathetic element on purpose to draw in the OWS types (Occupy Wall street, a name given to those protesting for leftist views, their slogan was “we are the 99% addressing the growing income inequality and wealth distribution in the U.S between the wealthiest 1% and the rest of the population” [Occupy Wall Street]) only to turn the tables on them and argue that the destruction of the current order leads to a worse result than the status quo. This is shown when Bane attacks the stock market, then leads a group of terrorist (criminals and civilians) to rebel against the government of Gotham. “capitalism, n.2”. OED Online. September 2012. Oxford University Press. 2 December 2012 ;. “capitalist, n. and adj.”. OED Online. September 2012. Oxford University Press. 2 December 2012 ;. “Occupy Wall Street,” Wikipedia. 2012.